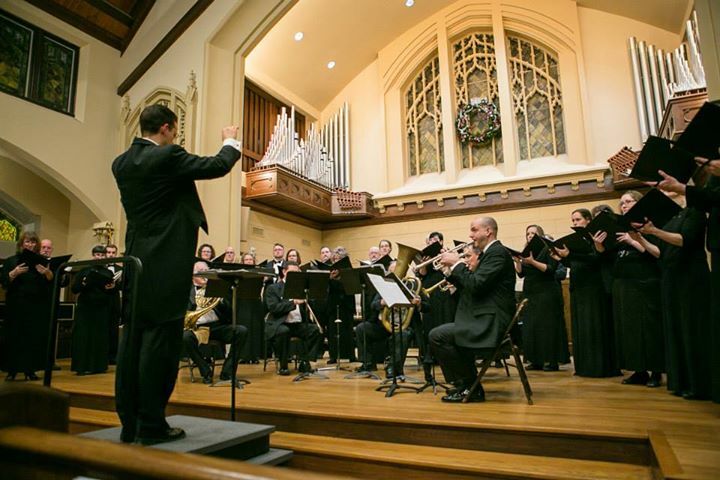 The Wichita Chamber Chorale is an auditioned choir of approximately 16 men and 16 women, recognized as the premier adult choral ensemble of Wichita and the surrounding region. Dr Mark Bartel is the Artistic Director and Conductor. There is no question that the co-existence of traditions is widely reflected in the music of North and South America. A melting pot of musical ideas can be witnessed in the eclectic musical styles that reflect the diversity of the various peoples living in the New World. The Wichita Chamber Chorale and Brazilian-American conductor Mariana Farah will proudly present a program exploring the rich choral tradition of all Americas. The program will highlight sacred and secular works of different countries, languages, and various ethnic traditions that exist side-by-side. Since 2010 it has been a distinct honor for me to lead the Wichita Chamber Chorale in fulfilling the choir’s mission of musical excellence , cultural enrichment, education , and outreach in our community. This year I will be working with our board “behind the scenes” as we build on our forty-year history and plan for an exciting future of new directions. We are delighted to welcome two renowned guest conductors who will lead the choir for the upcoming season. I am excited to share the podium with these colleagues as they lead the finest singers in the region in two fantastic concerts you won’t want to miss! I hope you will join us! All-Night Vigil, and the Kansas premiere of Part’s Berliner Messe. The Wichita Eagle critic wrote that the Wichita Chamber Chorale … routinely responds with a professionalism that ‘s unrivaled locally. In 2013, the Chorale honored Michael by granting him the designation of Music Director and Conductor Emeritus on the occasion of their 35th Anniversary Concert. Mariana Farah is the Associate Director of Choral Activities at the University of Kansas, where she teaches courses in graduate choral literature and conducting, directs the KU Concert Choir and Women ‘s Chorale, and helps oversee all aspects of the choral program. Born in Brazil , Farah received her Bachelor of Music from the Universidade Estadual de Campinas, Master’s degree from the University of Iowa , and her DMA from the University of Missouri-Kansas City. Her choirs have successfully performed at the Missouri and Kansas Music Educators Association conventions and at the 2008 and 2018 Southwestern ACDA conferences . Prior to her appointment at KU, Farah served as the Director of Choral Activities at Indiana University Southeast. She is currently the Music Director at First Presbyterian Church in Lawrence where she directs the Chancel Choir and oversees a thriving music program. Dr. Farah serves as the President-Elect for the ACDA Southwestern Division and as a national board member of the National Collegiate Choral Organization. She is also a singer with the Kansas City Te Deum Chamber Choir. Well-known composer and Wichita native Kirke Mechem will serve as an honorary advisor for the Wichita Chamber Chorale’s Kansas Choral Composition Prize. Born August 16, 1925, Mechem was raised in Wichita and Topeka. Following military service in the Second World War, he enrolled at Stanford University as an English major, where his interest in composition was piqued during a harmony course, and he changed his major to music. After completing a graduate degree at Harvard University, Mecham’s career has taken him to Stanford, Vienna, and then finally to San Francisco where he lives today. He currently serves as composer-in-residence at the University of San Francisco and has been a regular guest composer and conductor throughout the country.While Mechem’s works have covered almost every genre, his most notable are for voice and choir, and he has been called the “dean of American choral composers”. One of his most widely performed works is his three-act opera Tartuffe. Rooted in Kansas history, the opera John Brown was premiered in 2008 by Lyric Opera Kansas City. His anthem Christmas the Morn will be performed at the Wichita Chamber Chorale Sounding Joy concerts in December.